Microsoft has put uTorrent on its list of potential threats for more than a year now. 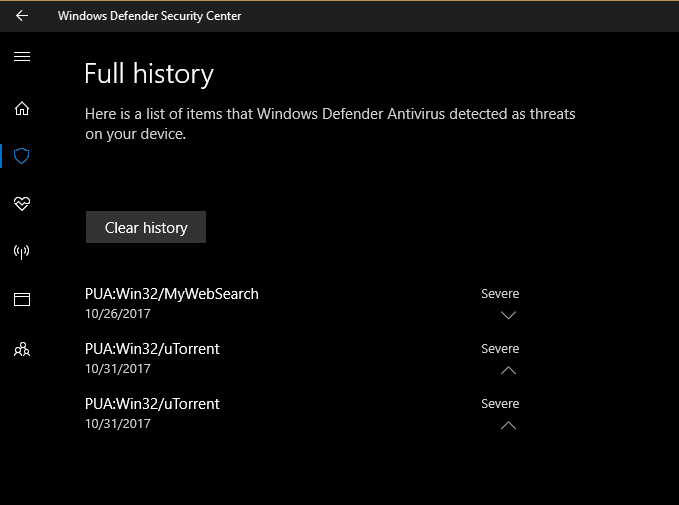 However, Microsoft’s Windows defender never displayed any security alerts related to the uTorrent tool for a computer. However, now things are different, Windows’s native antivirus has begun to warn users about the uTorrent. Well, if we look around, we will find that the popular torrent client uTorrent is linked to various security issues. However, despite all the issues, uTorrent is still used by many users. If you are still using the app on your computer, then you need to rethink about the app because Windows Defender and other Antivirus are now classifying uTorrent as malware. The software giant, Microsoft has put uTorrent on its list of potential threats for more than a year now. 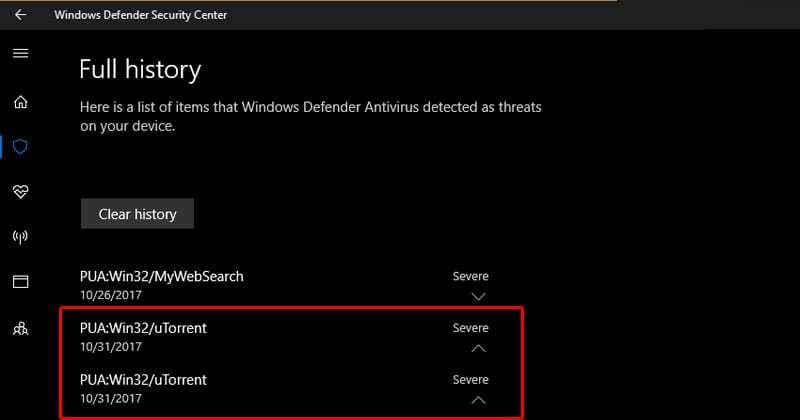 However, Microsoft’s Windows defender never displayed any security alerts related to the uTorrent tool for a computer. However, now things are different, Windows’s native antivirus has begun to warn users about the uTorrent. Windows Defender has begun to warn users that uTorrent is considered a ‘Potentially unwanted software’. Not only these, Microsoft’s Windows Defender can also quarantine the uTorrent.exe to prevent it from running. In this case, users who want to run uTorrent needs no unblock it manually. Microsoft believes that uTorrent has a ‘bad reputation’ and negatively affects operating system performance. Even, popular antivirus like Sophos and NOD32 are also found giving warning alerts to users running uTorrent.exe. The history of uTorrent is not at all positive. 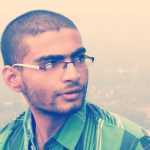 Recently, we have seen that uTorrent fixed a security flaw that allowed remote execution of malicious code on the computer. Not only that, uTorrent was also been criticized earlier for installing crypto miners on a users computer and displaying ads that led to malware.